Lake Tahoe is a major tourist attraction in both Nevada and California. It is home to a number of ski resorts, summer outdoor recreation, and tourist attractions. Snow and skiing are a significant part of the area’s economy and reputation. Mountain and lake scenery are attractions throughout the year. Highways provide year-round access to the area. Did you know that Lake Tahoe is also one of the ten deepest lakes in the world?! Lake Tahoe is a must see! The City of South Lake Tahoe located within El Dorado County, California. Lake Tahoe is a large freshwater lake in the Sierra Nevada of the United States. At a surface elevation of 6,225 ft. (1,897 m), it is located along the border between California and Nevada, west of Carson City. Lake Tahoe is the largest alpine lake in North America. Its depth is 1,645 ft. (501 m), making it the second deepest in the United States after Crater Lake (1,945 ft. (593 m)). Additionally, Lake Tahoe is the sixth largest lake by volume in the United States at 122,160,280 acre ft. (150,682,490 dam3), behind the five Great Lakes. The lake was formed about 2 million years ago and is a part of the Lake Tahoe Basin with the modern lake being shaped during the ice ages. It is known for the clarity of its water and the panorama of surrounding mountains on all sides. The area surrounding the lake is also referred to as Lake Tahoe, or simply Tahoe. More than 75% of the lake’s watershed is national forest land, comprising the Lake Tahoe Basin Management Unit of the United States Forest Service. Lake Tahoe is a major tourist attraction in both Nevada and California. It is home to a number of ski resorts, summer outdoor recreation, and tourist attractions. Snow and skiing are a significant part of the area’s economy and reputation. Mountain and lake scenery are attractions throughout the year. The Nevada side also includes large casinos. Highways provide year-round access to the area. Lake Tahoe is the second deepest lake in the U.S., with a maximum depth of 1,645 feet (501 m), trailing only Oregon’s Crater Lake at 1,949 ft. (594 m). Tahoe is also the 16th deepest lake in the world, and the fifth deepest in average depth. It is about 22 mi (35 km) long and 12 mi (19 km) wide and has 72 mi (116 km) of shoreline and a surface area of 191 square miles (490 km2). Approximately two-thirds of the shoreline is in California. The south shore is dominated by the lake’s largest city, South Lake Tahoe, California, which adjoins the town of Stateline, Nevada, while Tahoe City, California, is located on the lake’s northwest shore. Although highways run within sight of the lake shore for much of Tahoe’s perimeter, many important parts of the shoreline lie within state parks or are protected by the United States Forest Service. The Lake Tahoe Watershed of 505 sq. mi (1,310 km2) includes the land area that drains to the lake and the Lake Tahoe drainage divide traverses the same general area as the Tahoe Rim Trail. Mean annual precipitation ranges from over 55 inches (1440 mm) for watersheds on the west side of the basin to about 26 inches (660 mm) near the lake on the east side of the basin. Most of the precipitation falls as snow between November and April, although rainstorms combined with rapid snowmelt account for the largest floods. There is a pronounced annual runoff of snowmelt in late spring and early summer, the timing of which varies from year to year. In some years, summertime monsoon storms from the Great Basin bring intense rainfall, especially to high elevations on the northeast side of the basin. August is normally the warmest month at the Lake Tahoe Airport (elevation 6,254 ft (1,906 m)) with an average maximum of 78.7 °F (25.9 °C) and an average minimum of 39.8 °F (4.3 °C). January is the coolest month with an average maximum of 41.0 °F (5.0 °C) and an average minimum of 15.1 °F (−9.4 °C). The all-time maximum of 99 °F (37.2 °C) was recorded on July 22, 1988. The all-time minimum of −29 °F (−33.9 °C) was recorded on December 9, 1972, and February 7, 1989. Temperatures exceed 90 °F (32.2 °C) on an average of 2.0 days annually. Minimum temperatures of 32 °F (0 °C) or lower occur on an average of 231.8 days annually, and minimum temperatures of 0 °F (−17.8 °C) or lower occur on an average of 7.6 days annually. Freezing temperatures have occurred in every month of the year. Much of the area surrounding Lake Tahoe is devoted to the tourism industry and there are many restaurants, ski slopes, golf courses and casinos catering to visitors. During ski season, thousands of people from all over Nevada and California, including Reno, Las Vegas, Los Angeles, San Diego, San Francisco, and Sacramento, flock to the slopes for downhill skiing. Lake Tahoe, in addition to its panoramic beauty, is well known for its blizzards. Lake Tahoe can be reached directly by car, and indirectly by train or air. The nearest passenger train service is the Amtrak station in Truckee, and is served by Amtrak’s train, the California Zephyr, which runs daily between Chicago and the San Francisco bay area. Visitors can reach Lake Tahoe under ideal conditions within two hours from the Sacramento area, one hour from Reno or thirty minutes from Carson City. In winter months, chains or snow tires are often necessary to reach Tahoe from any direction. Traffic can be heavy on weekends due to tourists if not also from weather. The primary routes to Lake Tahoe are on Interstate 80 via Truckee, U.S. Route 50, and Nevada State Route 431 via Reno. Most of the highways accessing and encircling Lake Tahoe are paved two-lane mountain roads. US 50 is a four-lane highway (from the canyon of the South Fork American River at Riverton, over the Sierra Nevada at Echo Summit, and into the Lake Tahoe Basin, is a mainly two-lane road) passing south of the lake and along part of the eastern shore. California State Route 89 follows the western shore of the lake through the picturesque wilderness and connects camping, fishing and hiking locations such as those at Emerald Bay State Park, DL Bliss State Park and Camp Richardson. Farther along are communities such as Meeks Bay and Tahoe City. Finally, the highway turns away from the lake and heads northwest toward Truckee. California State Route 28 completes the circuit from Tahoe City around the northern shore to communities such as Kings Beach, Crystal Bay, and into Incline Village, Nevada where the road becomes Nevada State Route 28. Route 28 returns along the eastern shore to US 50 near Spooner Lake. 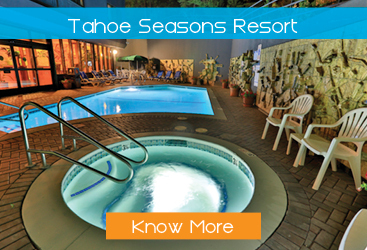 In South Lake Tahoe you’ll find a wide range of indoor and outdoor activities. Explore Tahoe an Urban Trailhead is a unique experience for all ages. Located in Heavenly Village next to the Gondola. Lake Tahoe, the largest alpine lake in North America? Did you know that Lake Tahoe is also one of the ten deepest lakes in the world?! Lake Tahoe is a must see! There’s no better reason to come to South Lake Tahoe than to get outdoors. The Tahoe Rim Trial provides more hiking choices than you’ll be able to complete in one, two or even five trips to South Lake Tahoe (so be sure and plan your next trip back). Biking around Lake Tahoe and in its mountain ranges provides breathtaking views along with a great workout. Tahoe South is a mere 3.5 hour drive from the Bay Area, or an hour-long drive from the Reno-Tahoe International Airport, with more than 120 daily nonstop flights. Convenient express shuttle service from Reno is available multiple times per day from the South Tahoe Airporter. Another option for travelers is the Sacramento International Airport; a two-hour drive, offering 145 nonstop flights. 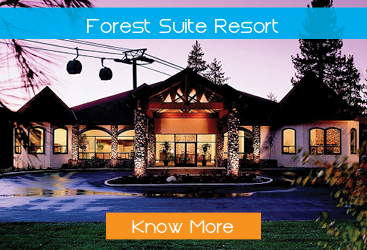 With direct access to the slopes, Forest Suites Resort at Heavenly Village makes guests feel at home with amenities like massage/treatment rooms and an outdoor pool. This suite-style resort in South Lake Tahoe has guest rooms with free Wi-Fi and a year-round, heated outdoor pool and hot tub.